The region that makes up the heel of Italy's boot goes by a couple of different names, including both Puglia and Apulia, though the former is the Italian name. Looking at a map of Italy, it's easy to see just how much of Puglia touches the Ionian Sea on one side and the Adriatic Sea on the other. The vast majority of the region is flat, with the exception of the mountainous Gargano promontory. Puglia also has a lot of agriculture, as it produces more olive oil than any other region in the country. Puglia is an increasingly popular vacation spot with foreign visitors, though Italians and many Europeans have been crowding its beaches every summer for decades. 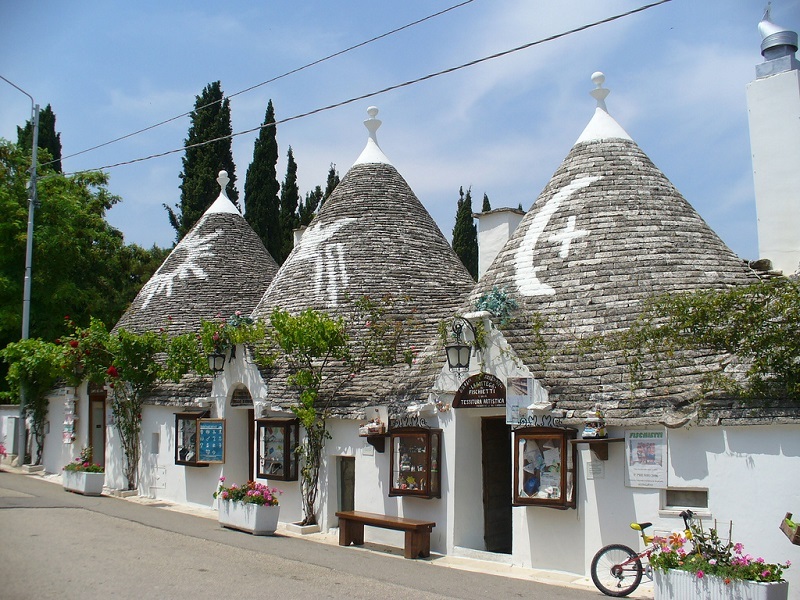 The cone-roofed houses in the town of Alberobello, also called “trulli”, are one of the UNESCO sites in the region and are a big draw for tourists. You can even stay the night in a “trulli” hotel. Puglia is also a frequent departure point for places like Greece, Croatia, and Montenegro. While most of northern Italy is well connected by rail lines, southern Italy is not. You can easily get to Puglia's major cities including Bari, Lecce, and Brindisi, but before you head for the heel make sure you won't also need a rental car to visit certain places and attractions.